Don’t Miss:Walking through the pretty, narrow streets of Alte – a world away from big, bustling cities! This half-day tour visits Alte, a typical Algarve village nestling in the foothills of the Serra do Caldeirão. With its whitewashed houses, narrow, cobbled streets and church at its heart, this lovely village is definitely one of the most picturesque in the region, and not to be missed when visiting the Algarve! Explore the beautiful, typical Algarve village of Alte. 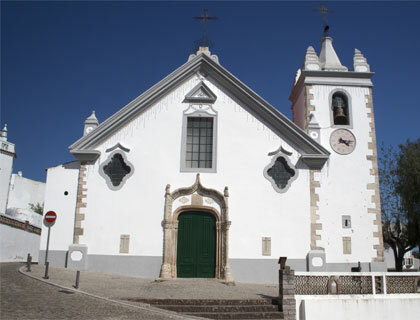 See the church of Nossa Senhora da Assunção, a fine example of the XVI century Manueline architecture. Stop in Querença; a small and quiet village that’s almost lost in the hills. Visit the lovely, tranquil village of Alte, located in inland Algarve just north of Albufeira. Alte is one of the Algarve’s hidden gems. On this half-day trip you can admire its whitewashed houses with their lattice work and handcrafted chimneys, explore its narrow, flowery streets and relax or people-watch at the numerous little cafes in the centre of the village. Situated at the heart of Alte is the church of Nossa Senhora da Assunção, which boasts an amazing doorway, a fine example of the XVI century Manueline architecture. This tranquil village also has several natural springs. The next stop is Querença; a small and quiet village that’s almost lost in the hills.